Thanksgiving is just a few days away! Are you as excited as I am!? I normally don’t pick up the newspaper, I hate my hands dirty with the ink. 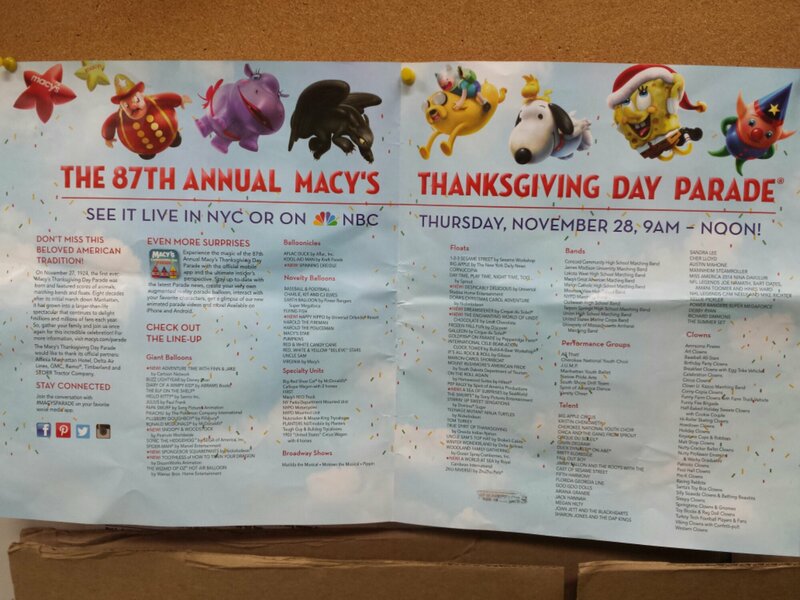 But im glad I did today because it was covered in Macy’s Thanksgiving Day Parade. I looooove the parade and its tradition to watch it. Some exciting additions to the balloons: Adventure Time, and How To Train Your Dragon. Floats I’m excited to see: Despicable Delicioua from Universal Studios, Dreamseeker by Cirque du Soleil, and of course Santa! It’s not Christmas without seeing the Santa at the end of the parade.